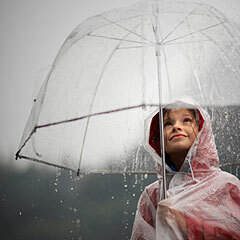 KSRealityBites: Prevention & Cure for the diseases of monsoon! Prevention & Cure for the diseases of monsoon! Even though we receive monsoon with much enthusiasm, the diseases it brings always 've a bad effect on all of us. Typically, the monsoon season is considered as risky & unhealthy. Most of the diseases in monsoon are caused due to mosquito bite which is a result of mosquitoes breeding in water puddles. Five most common diseases of Monsoon are Malaria, Cholera, Hepatitis A, Common Cold & Dengue. Malaria: This is the most common & dangerous disease of the rainy season. Highest number of deaths are credited to it. Its indications include chills, fever & pain. It is usually transmitted by mosquitoes. Its treatments depend upon the medical situation of the patient. Its hazardous to pregnant ladies & kids below age 5. Malaria should be treated before it gets persistent. Cholera: A disease caused by unhygienic food & water. It normally spreads in unhygienic places. it affects the small intestine & its incubation period differs from 6 to 48 hrs. In terms of prevention point of view, vaccination is necessary. It lastly secures the patient for almost six months. Always use clean drinking water & boil it before using. Personal hygiene & good sanitation is also necessary. Hepatitis A: A disease generally caused by flies. The symptoms of this disease are high fever with headache, joints pain & vomiting. the important prevention of this disease is vaccination. this vaccine is available at all the government & private hospitals & should be taken by one & since it is a very toxic disease. The patient should be kept on complete bed rest & should be given a high calories diet, but fat & oily food should be avoided. Common Cold: It is very common as it is named due to the common signs like constant sneezing, sore throat & fever. The best homemade remedy is a glass of hot turmeric milk. Gargles with warm water give relief to the sore throat. If things don't improve then it is always better to consult a doctor. Dengue: Another common disease caused by viruses transmitted by mosquito. the symptoms are fever, rashes, headache followed by bleeding gums, red soles & palms. There is no specific treatment for dengue other than proper intake of fluid & food. All the above mentioned five diseases are mainly caused by contaminated water, breeding of mosquitoes & the insufficient care for the body. Proper care & precautions can keep us safe from the hazardous diseases of monsoon. Fellas, hope you all will take a very good care of yourselves after going through this post. Stay Healthy & Take Care!